Cyclamens are a variety of flowering plants that produce brightly colored blooms on central stalks that are taller than the lower foliage. The plants are native to Greece but are often grown as houseplants in the United States. 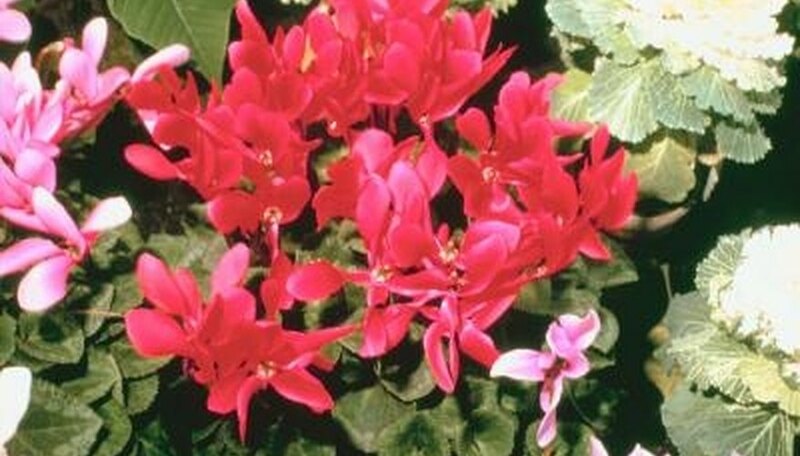 Although cyclamens like moist soil, they will quickly deteriorate if the soil remains constantly soggy. If you notice the soil is damp and the cyclamen begins to wilt, take immediate action to keep it alive. Look at the saucer under the cyclamen plant, if applicable, to see if it has standing water in it. If there is water, dump it out in a sink. Then look inside the pot to see if there is an inner pot. If an inner pot exists, lift it out and dump out any standing water in it. Place the interior pot, or the main pot if there is only one, inside a sink. Press down on the top of the soil gently with your fingers to depress it by approximately 1/2 to 1 inch. This squeezes out the excess moisture in the soil. Let the pot sit in the sink for an additional 20 to 30 minutes to drain. Wipe down the saucer and pot that contained the excess water using a paper towel. This removes any bacteria that has begun to grow that can be harmful to the cyclamen. Place the cyclamen back on the saucer and set it in an area that has good air circulation and bright sunlight to help speed the drying-out process. Do not water the soil until it is dry at least halfway down the pot. If the cyclamen plant smells like mold or decay, throw it away; you can no longer save it.